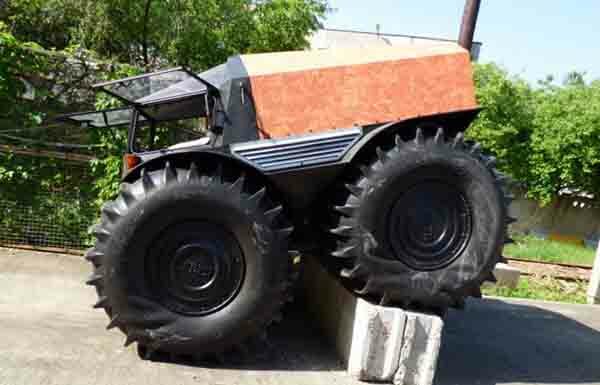 Monster trucks are not always for racing and destruction, a concept version of one has designed that looks to assists workers in extreme environments. 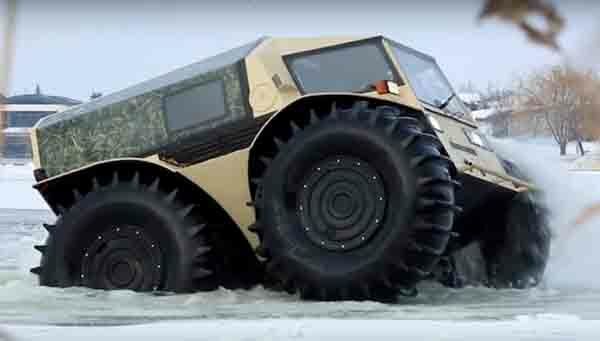 It’s called the The Sherp ATV this four wheel drive is able to maneuver through rugged hills and roads, it can also plow in pretty deep water and snow . 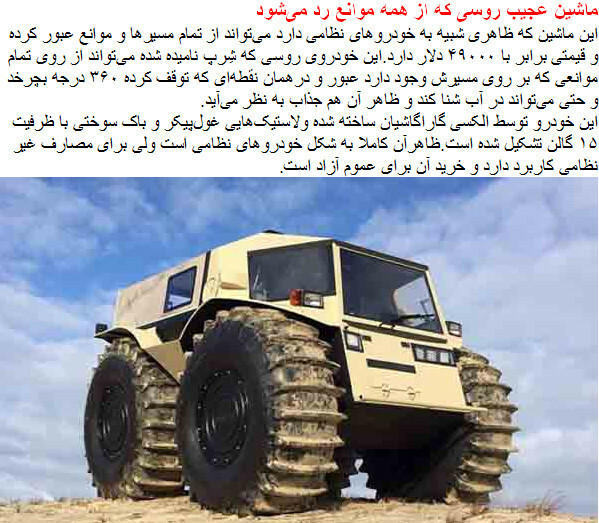 This This Russian made ATV’s is equipped with huge self-inflating tires that will never go flat.